Hi guys! Today I have day one of Digit-al Dozen 'December' to share with you. This months prompt was left pretty much open to what your intrupation of December is. For me its anything winter or Holiday themed. 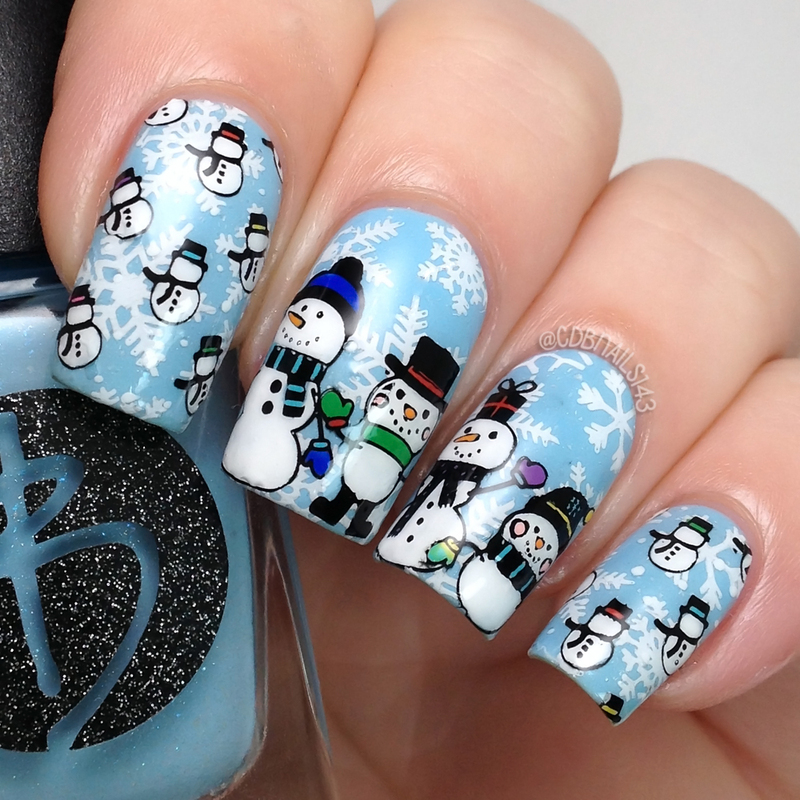 So my first prompt is a winter theme, with these adorable little snow men! I started out by applying my baby blue base polish. 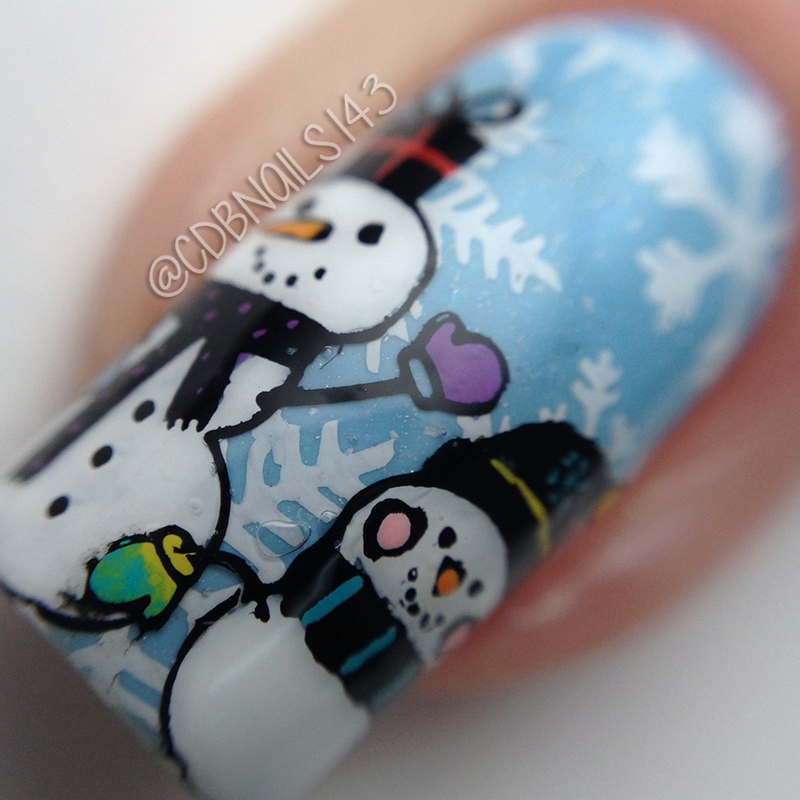 I then stamped snowflakes on all nails. 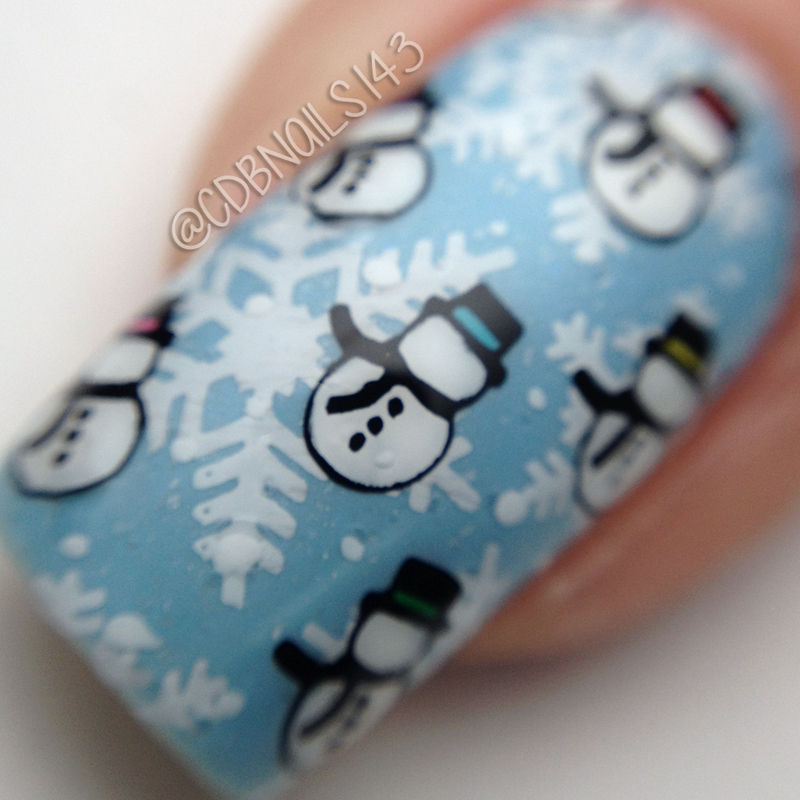 Using a fun Christmas/Winter plate from Winstonia, I created all the snowmen. I then sealed it with a glossy top coat. And thats it! I really enjoyed doing this mani. I had so much fun creating all the snowmen! If you would like the plates I used from Winstonia, here are the links to the listings of each plate. And don't forget to use my code CDBNAILS for 10% off your Winstonia order! Oh my goodness Cheyenne - this absolutely adorable! 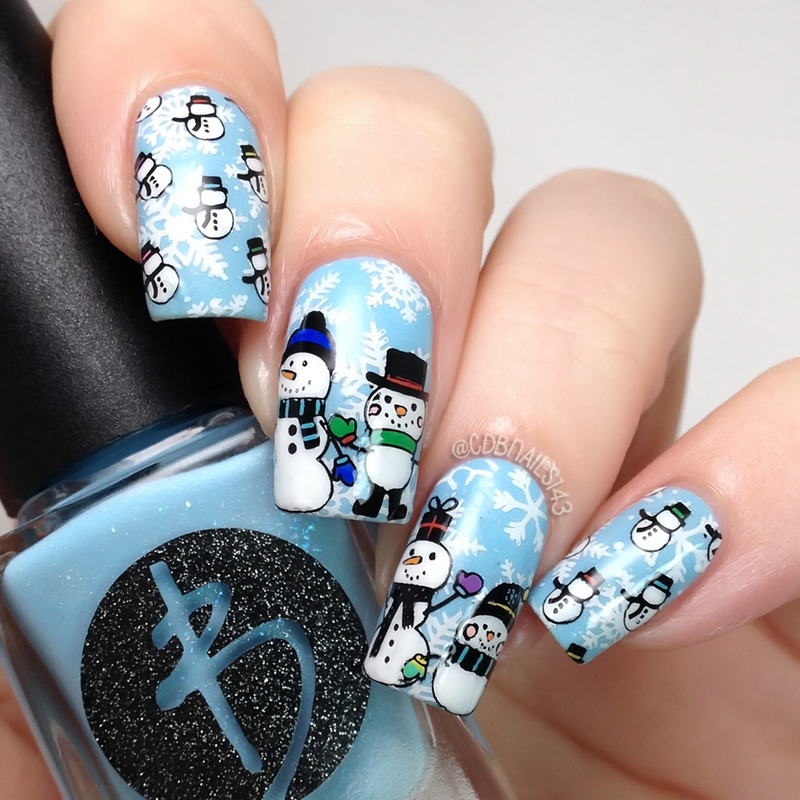 Awww those little snowmen are so cute! !